43 years, 11 months, 20 days old age. David Beckham will turn 44 on 02 May, 2019. Only 9 days, 10 hours, 29 minutes has left for his next birthday. David Beckham has celebrated the total number of 43 birthdays till date. See the analysis by days count and bar graph. David Beckham was born on 02-05-1975 in Leytonstone, London, United Kingdom. He is an English Football Player, Philanthropist, Businessperson, Model & Spokesperson. Educationally, David Alan Grier studied at Chase Lane Primary School and they promoted to Chingford County High School. He went for practices and trails at several clubs like Norwich City and Leyton Orient before attending the school at Tottenham Hotspur football club. He left the school in 16 playing for the Manchester, the United Kingdom in training divisions and by 20 He was playing with the Team. 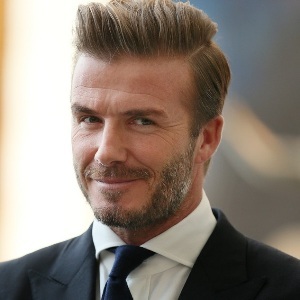 Beckham helped the Class of Youth 92 to win the FA cup and in 1992 made his debut senior team and signed the professional contract with Manchester United. In the lat, the 1990s he became the part of Manchester United team and won the Premier League, the FA Cup and UEFA Champion League along with 6 medals. The remarkable moment came when Beckham moved to Spanish club Real Madrid where he played for the club and scored 13 goals. In 2007 He moved to Major League Soccer side LA galaxy based in Los Angles and played for the team for 5 seasons and in 2013. He moved to French side Paris –Germain, it was a 5-month contract and all money went to Charity. He retired from international football in the year 2009. He also started two football academy's as well. One in Los Angeles and one in London in the year 2005. However they both got closed in 2009. His popularity is not just limited to footabll pitch though. He is regarded as a fashion icon and his tattoos and hairstyles have made equal headlines that his football skills did. He has also launched his fragrance line in 2007. His marriage with Victoria also created a lot of hype. He has been the face of various brands and even after 10 years after his retirement, he is still one of the most bankable star globally. He has used his celebrity status to good effect to help the underprivileged section of the society. He has been associated with the UNICEF for almost 2 decades now. He has also been raising his voice and help for the organization called Help For Heroes which deals with injured soldiers in Afghanistan and Iraq. He was born to David Edward Alan “Ted” Beckham and Sandra Georgina. 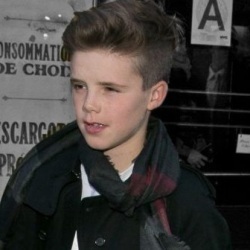 He has 2 sisters named Lynne Georgina Beckham and Joanne Louise Beckham. He married to Spice Girl Victoria Adams on July 04, 1999 and He received the title of Posh Spice. Later the couple blessed by 3 Sons name Brooklyn who born in London in 1999, Romeo James Beckham born in London 2002, Cruz David Beckham who born in Madrid 2005 and a Daughter named Harper seven born in 2011 at Los Angles home. He is the English appearance record holder for an outfield player. When he played against Slovakia in March 2009, he beat Bobby Moore’s haul of 108 caps. David has insured his legs for $70 million. He has been associated with UNICEF since a long time now. He suffers from ornithophobia, which is the fear of birds. David scored his first international goal against Colombia on June 26, 1998, during 1998 FIFA World Cup.